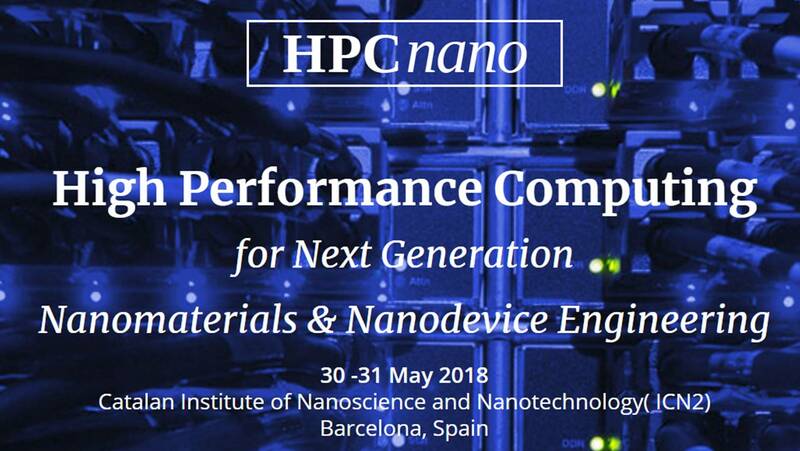 The event will count on the presence of European experts in the field of nanoscience and nanotechnology, with strong focus on HPC applications, as well as representatives from the RES. The registration is free of charges but participants should apply. Participant willing to present a poster should notify it in their applications. Due to space limitations, maximum number of participant is 40. To the selected participant the event will provide with: Conference material, 1 lunch and 3 coffee breaks. To register send a motivation letter and simplified CV to josehugo.garcia@icn2.cat before May 1, 2018.